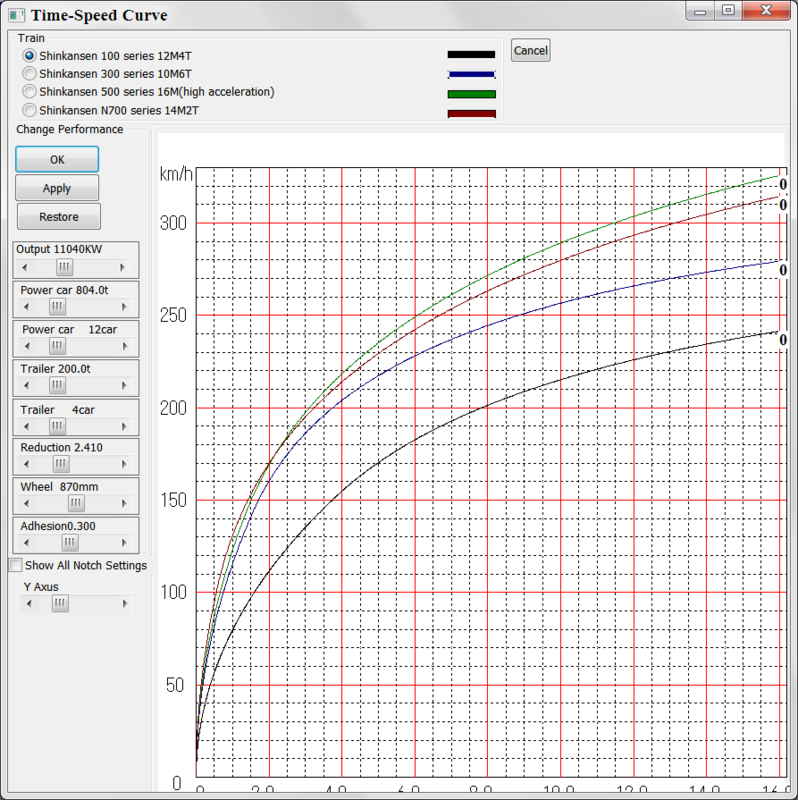 You can get train performance curves and run curves quickly with less effort. Simplified data input using a mouse enables easy handling of the track profile and train data. Super Notch Man provides a function of registering user's own train and track data. With an aid of this function, the user's data can be used in simulations..
As the whole application is written in C++ language and compiled into the native machine code, automatic operations and calculations are fast and you can get outputs quickly with a commonplace Windows PC. Also in the web version, the server-side CGI program is written in C++ language and compiled into the native machine code and it decreases the response delay common to the script-based CGI program. 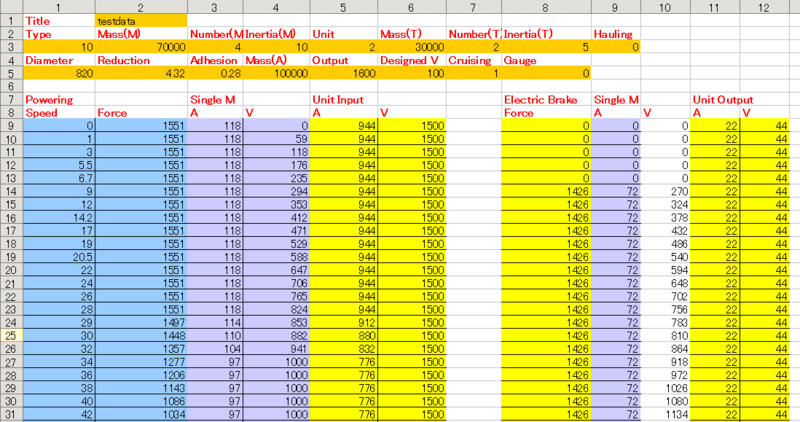 Simulation outputs are presented in the form of line graphs, numerical tables. Running curves show train's running details and sectional running times are easily calculated. 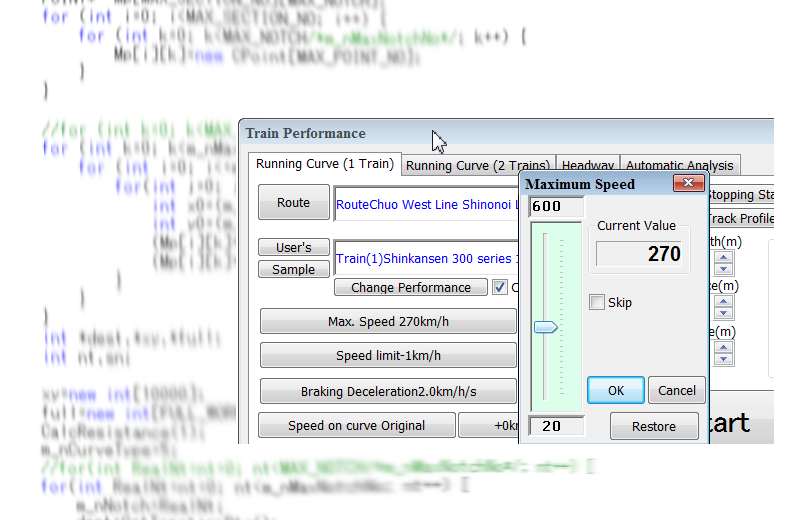 Two trains can be run on the same track simultaneously and you can compare their performance directly on the derived run curve. You can change colors of the graphs and make a digital presentation easier to understand, you can also use color printers for hard copy production. Bug fixed or improved version is available from our web site, so you can use the latest version. Omitting the telephone support and onsite support has made it possible to provide this product at low price. Especially the membership system of the web version reduces the initial cost and you can select the membership period annually. 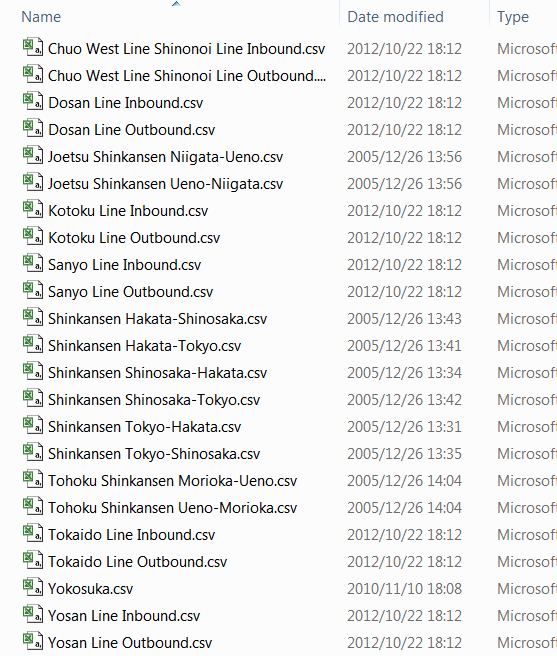 Japanese track data and train data are included in the package..
High speed trains around the world are also included.